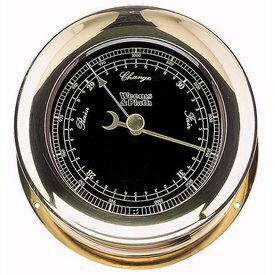 The Atlantis chrome bell clock strikes every half hour in the classic ship's 8-bell cycle. The screw bezel allows easy access to the German quartz bell movement and silencer switch when the unit is mounted. 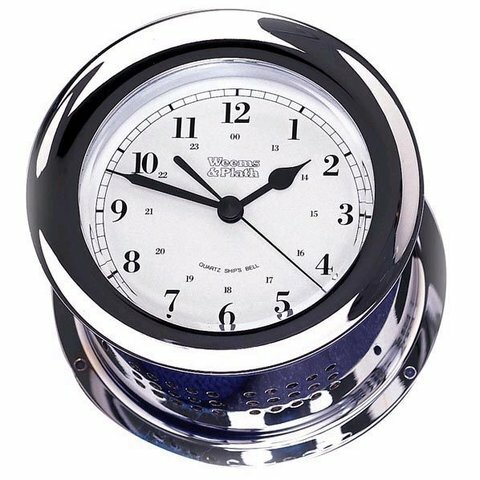 The clock casing is created from chrome-plated solid, forged brass that is hand polished and flawlessly lacquered. This chrome bell clock is a beautiful addition to your boat when mounted to the bulkhead or to any office or home when displayed on a finished wood clock base. 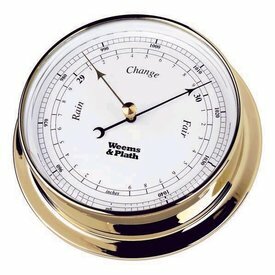 The easy-to-read dial, maintenance-free finish, and weatherproof construction are a winning combination in this generously sized Chrome Endurance 125 Barometer.